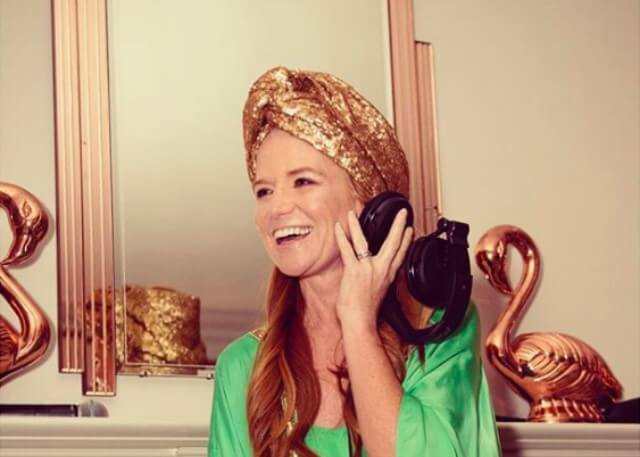 Patsy Palmer has transformed from adored British TV soap-star into sought-after celebrity DJ. A passion for music compelled this former Eastenders actress, best known to UK fans as Bianca Fowler, to her second successful career. Now based in Los Angeles, she is a regular at exclusive parties and high-profile events. Patsy has set up her own popular club night, GODMUTHAS, at Malibu’s Soho House, taking to the decks alongside the likes of Macy Grey and Heidi Lawden. She’s also played at many private parties in Malibu and Los Angeles, and in clubs around Ibiza and in Beverly Hills, showing the world how they party in Albert Square. Patsy’s style is a mix of the old and the new form the worlds of house, disco and hip-hop. With real flair and energy behind the decks, she knows exactly what to reach for and when. Thanks to her unmatched skills, she’s earned invites to play London’s private members clubs Groucho and the Kensington Club – Patsy adapts her sound to meet the occasion, meaning she can go deep and bass-heavy, or keep things light and energetic. Known worldwide for her TV career, Patsy is a major player in the celebrity DJ world and brings excitement and energy to any party.